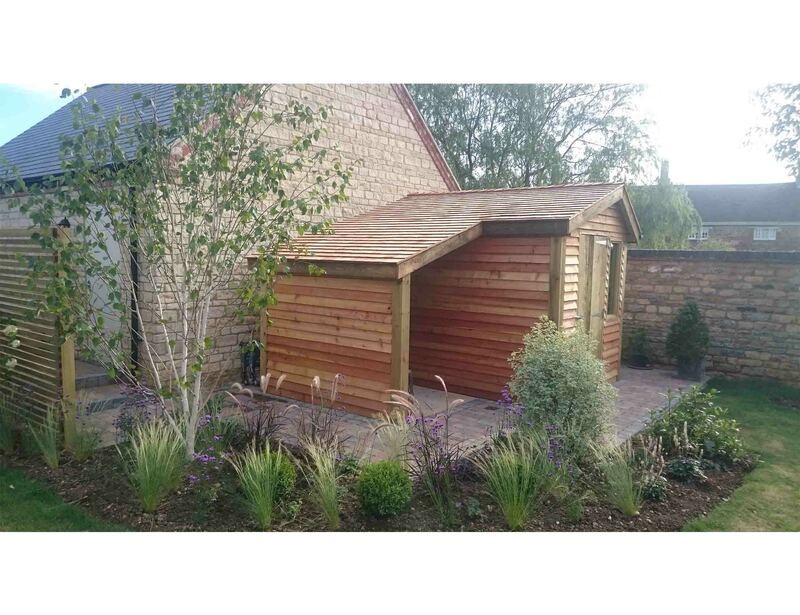 "We are delighted with the quality of the work and attention to detail, in particular with the landscaping and bespoke log store and garden shed. 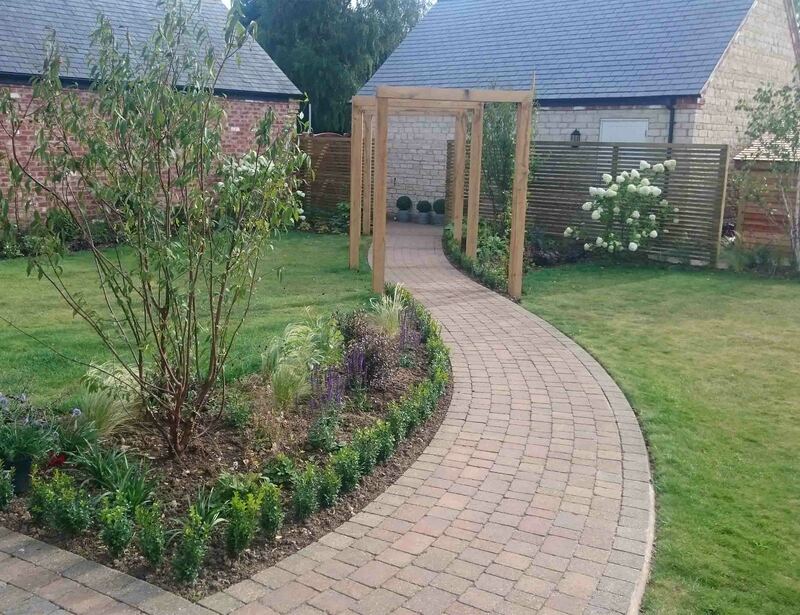 A very friendly and professional team"
After the Clients moved in they quickly contacted us to see how we could make their garden more interesting using our garden design service. The existing garden was walled on all sides, lawn and a curved block path through the middle. 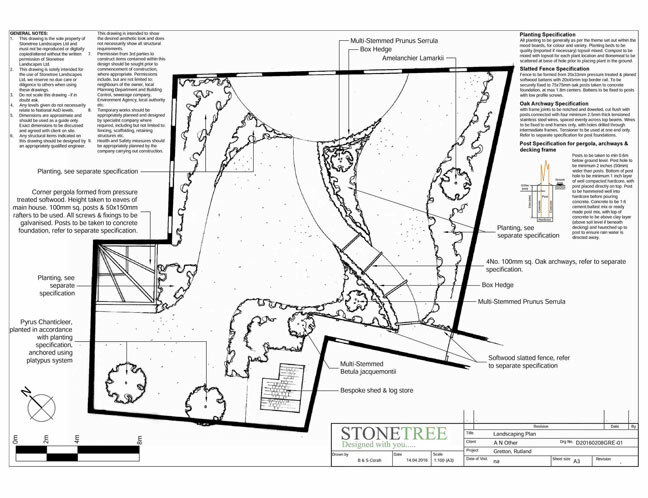 The brief of the garden design was to keep the existing block paths and patio while introducing planting, a new shed and log store and some trees to block the telephone pylon, after drawing up a few concept plans and swapping around ideas we drew up a final garden design plan. Following the successful presentation of the final garden design plan, we provided a quote for the Landscaping and put the garden design ideas to reality. 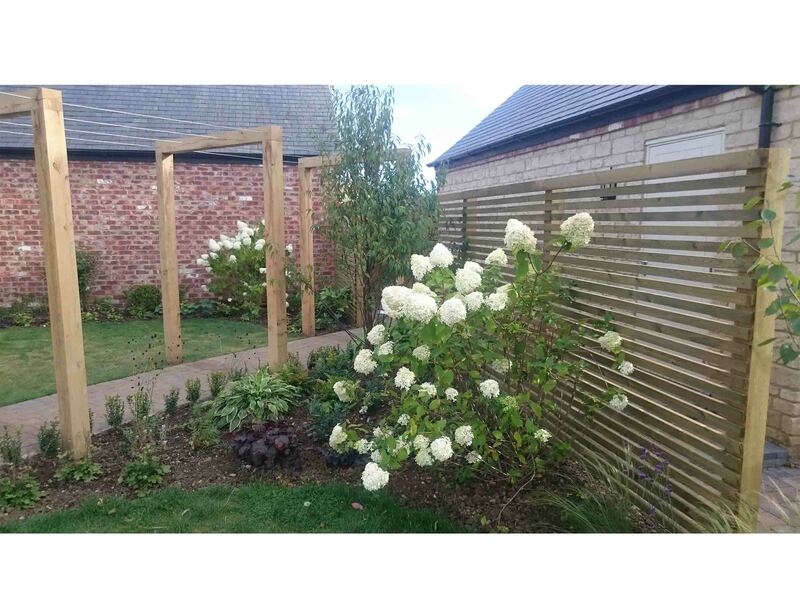 As you walk into the walled garden through the gate your view is obscured of the garden by a slatted screen until you reach the contemporary oak pergola, which follows the meandering Block path to the front door. From the patio outside the kitchen the garden is flanked by large flowing borders of which have been planted with a mix of whites, purples, pinks broken up by evergreen shrubs. The shed and log-store are clad in larch and cedar, when weathered down these will blend into the planting around it. 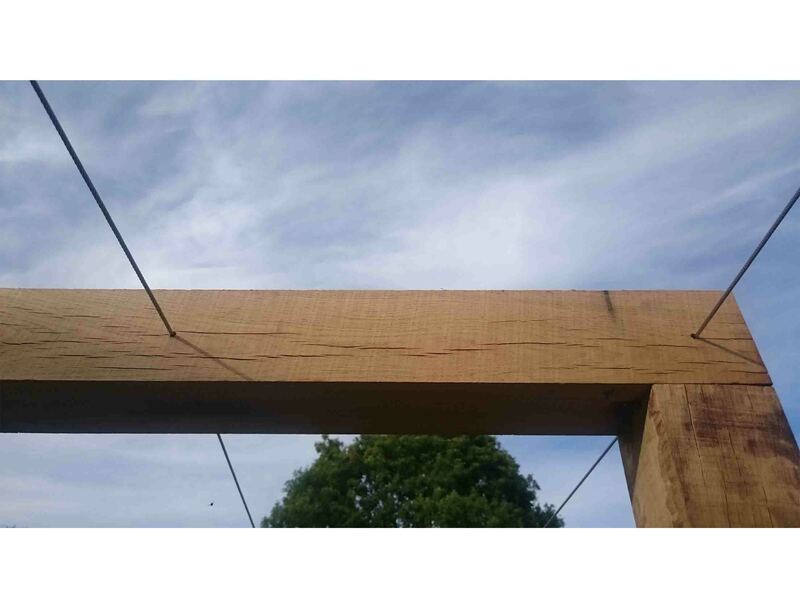 The Garden is broken up into different areas by the planting and the Oak Pergola, making it feel larger and also enticing people out to explore it. The planting is simple and sophisticated, with large swaths of tall perennials and grasses that will move with the wind. 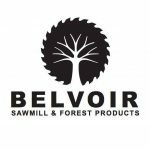 The shed Larch cladding and Oak pergola were supplied by Belvoir Sawmill & Forest Products. We would highly recommend checking them out here. 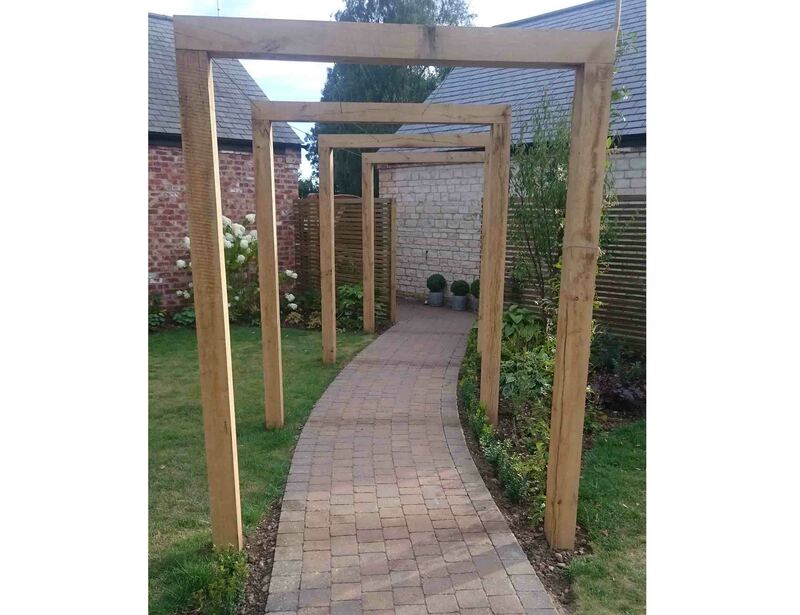 Posted in block paving, design, fencing, gardens, path, Pergolas, planting, portfolio, shed and tagged block, contemporary, design, fencing, flowers, garden, hardwood, log store, oak, pergola, planting, setts, shed.